As an employer, you have a tax obligation to deduct employee’s tax in the form of PAYE (Pay as you Earn) from any remuneration paid to employees and settle this amount with SARS on a monthly basis. In this blog article, we will focus on the steps you will need to follow to calculate PAYE. 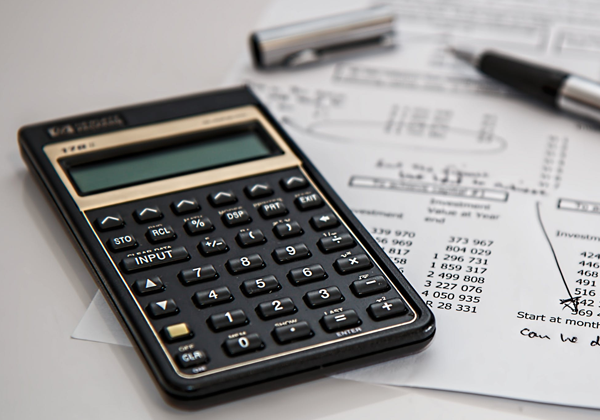 We will be working with the averaging method whereby an employee’s annual total income for the entire tax year to date is used to calculate their PAYE liability. This method is often more accurate in cases where an employee has variable income. This deduction is limited to 27.5% of the employee’s total income. The ceiling is set at R350 000 for high incomes. As an employer, you need to decide if your employee travels at least 80% of the time for their work. If they do not, 80% of the travel allowance is charged PAYE. If they do, only 20% of the travel allowance is charged for PAYE. In the example above, the employee does not travel more than 80% of the time for their job, therefore only 20% of the travel allowance can be used as a deduction. Are they 65 – 75? Reference the PAYE tables here for the 2017/2018 tax year. If the taxable income is below the tax thresholds, no PAYE is deductible. If the taxable income is above the thresholds, continue on. Find out which tax bracket your employee’s taxable income falls into and work out the total tax payable. View the tax rebates here and work out the rebates your employee is eligible for based on their age. Sipho is 29 years old and in 2017/2018 tax year earns a fixed monthly salary of R20 000. His provident fund contributions total R2000 per month and he receives a R1000 monthly travel allowance. He only travels approximately 15% of the total time he works. This is under 27.5% of his total income and also under the R350 000 limit so the full amount of R24 000 can be used as a deduction. Total travel allowance deductions: (R1 000 x 12) x 20% = R2 400. Therefore, his total deductions are R24 000 + R2 400 = R26 400. When reviewing the PAYE tables here for 2017/2018 we can see that Sipho is above the tax thresholds and will need to have PAYE deducted from his earnings. Being under 65, he qualifies for a tax rebate of R13 635. His total taxable income of R213 600 puts him in a tax bracket of R189 881 – R296 540 which means that he will need to pay R34 178 + 26% of the amount above R189 880 which equals R40 345.20. There are a host of possible deductions that a taxpayer may qualify for and are beyond the scope of the simple calculation steps above which are intended as a guide only. The calculation methods above may not apply to all circumstances, for example where an employee is in non-standard employ or has received a tax-directive from SARS. Lastly, scenarios such as pro-rata tax calculations where an employee has only been employed for part of the month have also not been factored in above to keep the general steps as simple as possible. We recommend that you consult with a tax practitioner who can verify that PAYE is being calculated accurately and take into consideration the employee’s unique circumstances.